The Thomas Hardy Society carries on Thomas Hardy associations with Dorset County Hospital. The Thomas Hardy Society has made a donation of £500 to Dorset County Hospital Charity’s Cancer Appeal. This followed the Society’s 50th Anniversary celebrations at the biennial International Thomas Hardy Conference and Festival in July of this year. The event, with the support of the Principal Luke Rake, was held at Kingston Maurward College where the Society held its inaugural Festival when founded in 1968. Among the range of weekend events the Saturday included a VIP dinner with speeches from leading writers living in Dorset and a performance by The Wessex Consort. On Sunday afternoon a Thomas Hardy Country Fair entertained visitors with arts and crafts, music of Hardy’s day, an Ancient Wessex Village, paintings of coast and countryside, Dorset Food and Drink, poetry, prose, dance and drama, guided walks and a range of classic and vintage vehicles. The day ended with a picnic in the grounds and a lakeside performance of the “Trumpet Major “by the New Hardy Players. “In a series of carefully choreographed events the conference was to go on to be just as memorable as that of 1968 with its magnificent Victorian summer fair held in the grounds of Kingston Maurward House in temperatures hitting 30 degrees. Despite the heat and a good deal of quaffing of specially brewed ‘Thomas Hardy’s Cyder’ nothing disrupted the great celebratory atmosphere. Blacksmiths and sculptors hammered and chiselled away, while a ring of Victorian-clad children danced around the maypole”. 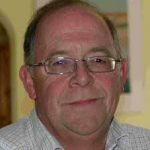 The donation to the Cancer Appeal reflected Hardy’s lifelong interest in the provision of the best hospital facilities for Dorchester and the surrounding communities with his valued support as a subscriber to the original Hospital. The Reverend William Barnes and the father of Sir Frederick Treves were also subscribers and all were great friends of Hardy. On 20 July 1921 Hardy made a rare appearance to open a large fund raising event in aid of the hospital. Florence Hardy, Thomas’s second wife also left £800 in her will of 1937 for the construction of a children’s sun balcony at the hospital. Due to the success of the appeal a further plan is being developed which aims to deliver a ‘gold standard’ refurbishment of the hospital’s chemotherapy unit. DCH Charity will continue to work closely with all its supporters and with the Fortuneswell Cancer Trust to raise funds to enhance cancer services across the hospital. KeeP 106 has been speaking with Rachel Cole from DCH. So Kaitlyn called 999 and gave the important details to South Western Ambulance Service NHS Foundation Trust (SWASFT) Call Handler Jess Hodkinson. During the call on 27 October, Kaitlyn was able to tell Jess precisely what was wrong with Charlene. Kaitlyn made sure that her mum was still breathing, and she stayed on the phone to Jess until help arrived. Kaitlyn, Charlene, and dad Simon made a special visit to the SWASFT Control Centre near Bristol on Friday 30 November. 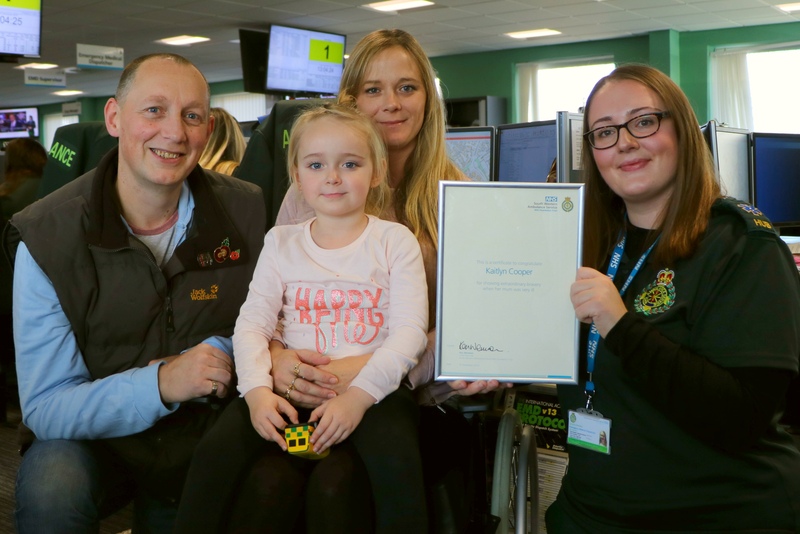 Kaitlyn was presented with a certificate on behalf of SWASFT Chief Executive Ken Wenman to congratulate her for showing extraordinary bravery, presence of mind, and wisdom beyond her years. Paramedics went to the family home in Askerswell, Dorset and assessed Charlene. Thankfully Charlene stopped fitting, and she didn’t need to go to hospital. Jess, who works in the Control Centre as an Emergency Medical Dispatcher, said the incident highlighted how vital it is for parents to teach their children what to do in an emergency. That includes showing the children how to call 999, making sure they know their address, and ensuring they are aware of any known health problems in the family.